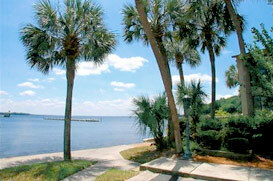 Orange Park has a rich history in Northeast Florida. Originally founded in 1877 by the Florida Winter Home and Improvement Company, the town has grown from a small farming community to a well-known part of the Jacksonville area. The community has more than 8,000 residents who enjoy special events, including a fall festival, a Carrie Clarke Day celebration, and a monthly farmers and arts market.